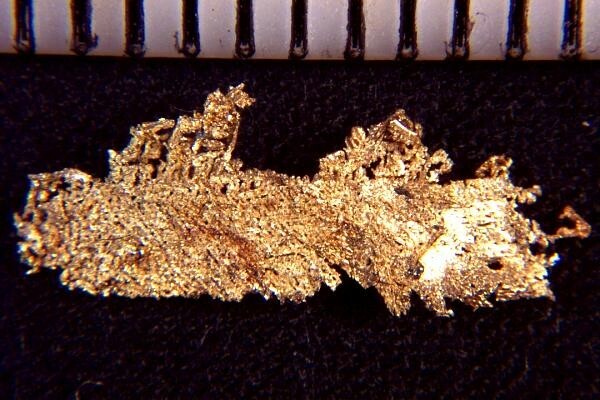 This is a Fine Wire Gold Nugget Specimen from Round Mountain. It is a mass of tiny wire gold crystals all interlaced together in a very intricate pattern. This is a really wonderful adn unique wire gold specimen. Wire gold is very rare and hard to find. 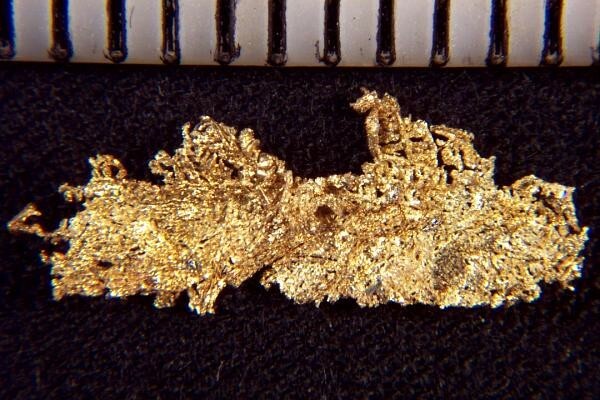 This 5/8" (15 mm) long wire gold nugget specimen would be a spectacular addition to your gold nugget collection.